Clifton Parish Church of St Philip & St James stands on the eastern side of Clifton Moor, just north of the junction with Water End. 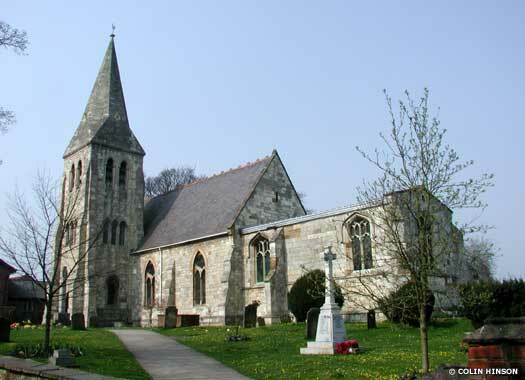 The church was built between 1866-1867 on a site adjacent to Clifton Green, using brick faced with Bradford stone, with Ancaster stone dressings, in the Gothic style. It comprises nave, transept, and chancel with west tower. 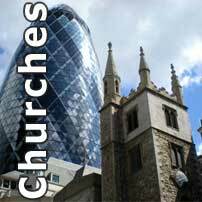 It was assigned a Consolidated Chapelry in 1871 out of St Michael-without-Walmgate Bar and contains six bells. The Chapel, Clifton Park Hospital lies at the far western end of Clifton Park Avenue, looking out over the River Ouse in Clifton Park to the north of York. The chapel was built for North Riding Asylum, which opened in the 1840s. The chapel was added in 1873. The asylum became Clifton Hospital, and this was closed in 1994. The chapel was converted into office space by the Thompson Spencer Partnership and was leased to Norwich Union Life Services in December 2001. All Saints Huntington lies at the western end of Church Lane, on the western side of Huntington. The first church on this site was late Saxon, replaced about 1200 and possibly reconstructed again in the fifteenth century. The church was almost entirely rebuilt in 1874, in the Perpendicular style, and using magnesium limestone to compliment the original design. The old nave was pulled down. The narthex at the back was built in 2006 while the new tower contains eight bells. 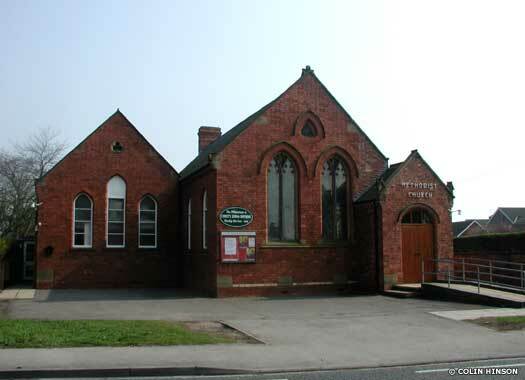 Huntington Methodist Church lies on the eastern side of Strensall Road, midway between Avon Drive and Connaught Way. The chapel was built by Wesleyan Methodists at a date before 1857. It was enlargened in 1867, and rebuilt in 1900. It formerly had a tower (where the entrance porch is today), which was probably removed in 1900, along with the front wall and bushes. Apart from these changes, the remainder looks remarkably unchanged, despite the rebuild. 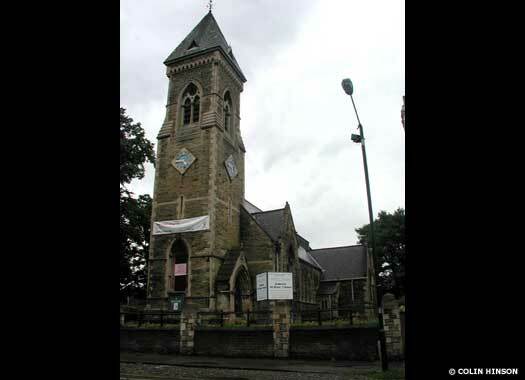 The Catholic Church of St Paulinus lies on the south-east corner of Monckton Road and Abbotsway. 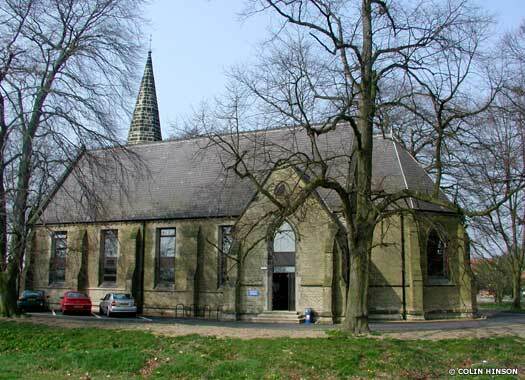 The church was built in 1963 as a chapel of ease to the north-east section of St Wilfrid's parish. 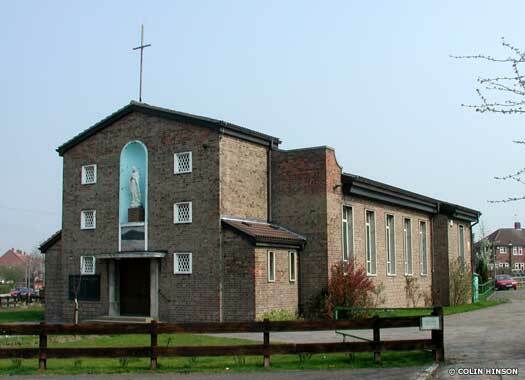 The church gained its own parish in 1968. Paulinus was the first Christian missionary to visit the kingdom of Northumbria, after arriving with St Augustine in AD 601. He was responsible for converting King Edwin of Northumbria in 625 as the bishop of the Northumbrians.